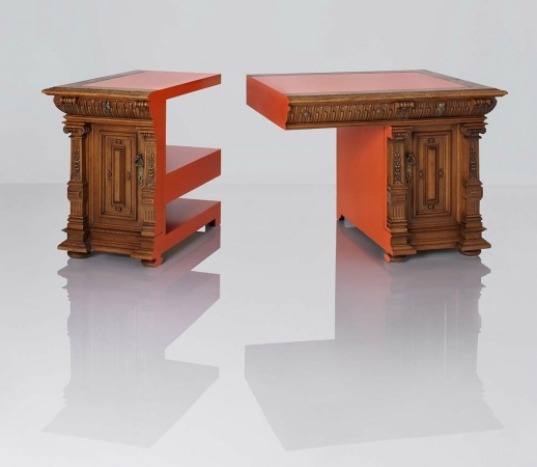 Last year Studio Rolf bought several pieces of furniture from the estate of Queen Juliana in the Netherlands. Since then, the studio has been hard at work sawing the items in half and turning the original historic pieces into inventive adaptations. Aptly named ‘Juliana and Rolf’ the collection will be exhibited at the Milan Furniture Fair next week. Rolf‘s latest line continues the studio’s tradition of playful, transformative works. The collection features a desk, four chairs, two tables, a cupboard, and several more pieces. Despite being cut up and re-arranged, the furniture’s original forms are still visible – but now they appear more like abstract and modern inventions. Here at Inhabitat we love showcasing the best adapted furniture we find, and now we're introducing these amazing pieces transformed from a Dutch Palace! That's right, last year Studio Rolf.fr bought some furniture from the estate of Queen Juliana, based in the Netherlands. Since then Rolf.fr has been hard at work, sawing the items in half and turning the original historic pieces into inventive adaptations. 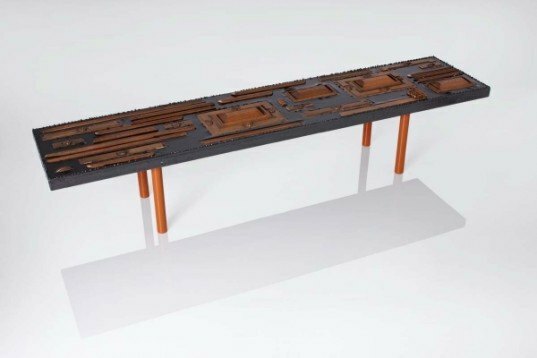 Aptly named 'Juliana and Rolf', part of the collection will be exhibited at the Milan Furniture Fair and the "Broken Desk" will be featured back in the Palace towards the end of the month. Aptly named 'Juliana and Rolf', part of the collection will be exhibited at the Milan Furniture Fair and the "Broken Desk" will be featured back in the Palace towards the end of the month. Following the Studio's previous work, the collection continues the concept of playful transformation. Containing a desk, four chairs, two tables and a cupboard, the original collection has evolved into several more pieces. Despite being cut into pieces their original forms are still visible.